Deciding to have exterior work done is a big step in property ownership. Not only does the homeowner have to ensure that potential workers are licensed but he also must make certain that his desires for renovation are understood and met. When considering major or minor exterior reconstruction in Newark, Delaware, think of First State Contractors. We have more than fifty years in the industry, and service both residential and commercial properties. 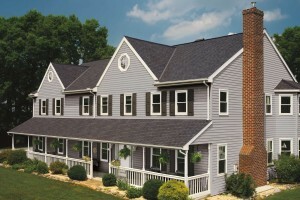 Windows, roofing, siding, doors, decks and fences are a few of our many specialties. We also offer patio and concrete designs that enhance the outdoor experience. While all of our services are guaranteed to last, we go the extra mile in ensuring that our roof installations give customers the full value for the amount paid. We use material that is built to last through the seasons, and provide an additional warranty in the instance of malfunction. Our construction workers assess every situation and use a multi-layered system when installing roofs so as to make certain that homes are fully secured. All of our plans for renovation are presented to customers before construction begins. Call us at 866-398-9103 or contact us today for a customized quote!